Jaguar Land Rover has been forced to recall more than 44,000 cars for repairs after UK regulators found some models were emitting more carbon dioxide than previously thought. 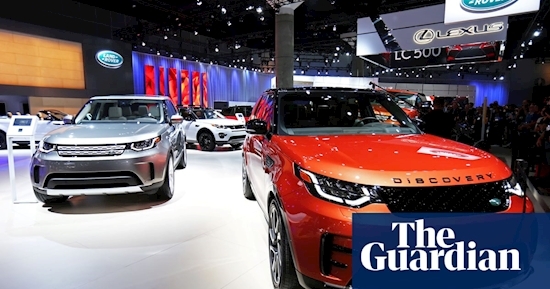 The Vehicle Certification Agency found 10 models for the Land Rover and Jaguar brands were emitting more greenhouse gases than had been certified initially. JLR then informed the Driver and Vehicle Standards Agency, which handles recalls, of the findings. Britain’s largest carmaker will have to carry out free repairs on the models once engineers from JLR and the DVSA agree on a suitable fix. JLR’s cars “may emit excessive levels of CO2 and may not conform with the certified condition”, according to the European commission’s rapid alert system. Recalls of cars to fix safety defects happen fairly often, but full product recalls because of exhaust emissions are rare. It is thought to be the first carbon dioxide-related recall for JLR. It will affect versions of the Land Rover Discovery, Discovery Sport, Range Rover Sport, Velar and Evoque made between 2016 and 2019. Jaguar models affected include the E-Pace, F-Pace, F-Type, XE and XF. Petrol and some diesel models will be part of the recall. The repairs could include software updates as well as physical alterations, and some Range Rover Evoque models will need new tyres, a JLR spokesperson said. Vehicle emissions have come under increased scrutiny in recent years following Volkswagen’s diesel scandal, in which it was found to have installed software to trick emissions tests. JLR’s recall is not expected to have a material impact on the company’s finances, but comes at a challenging time for the carmaker. JLR posted a record quarterly loss in February and announced about 4,500 job cuts the previous month.